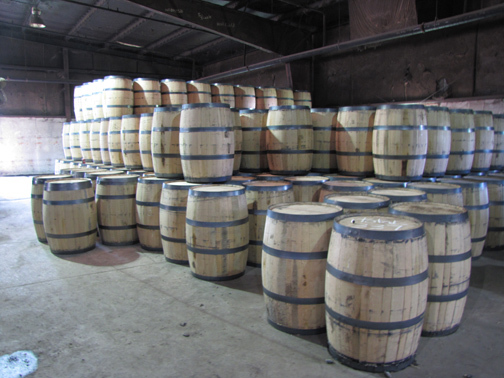 IT Case Study: Robinson Stave | Central Business Systems, Inc.
Robinson Stave Co., Inc. produces bourbon barrels for Kentucky's ever-burgeoning bourbon distilling industry. When their business technology reached its limits, they turned to Central Business Systems, Inc. for a Total Technology solution. Jim Stiles wears many hats as the Plant Engineer, maintenance manager, tool crib manager and IT manager for Robinson Stave. This prompted him to engage Central Business Systems, Inc. (CBS) for help with reducing his workload pertaining to their technology needs. Jim’s decision to partner with CBS and utilize their IT solutions allows him to focus on the true business needs of a growing corporation such as building their new state-of-the–art, 100,000 square foot facility! Today, CBS provides a “Total Technology” solution for Robinson Stave. This involves managed IT services, Sharp multi-function devices, and document imaging resources. Using a holistic approach results in a secure, reliable, and efficient network. Additionally CBS provides Jim with a single point of contact to consult when growth is demanded. For example, when the need arose for a new VoIP solution, Jim’s first call was to CBS. We then matched him with one of our trusted vendors for a low-stress installation.